Who doesn’t love a trolley? 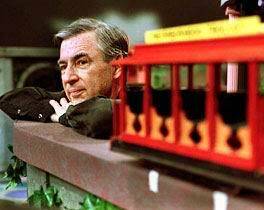 Every American kid from the time they can sit up straight has seen Mr. Rogers and his cute little trolley that whisks us into make-believe land. They add historical charm back to our modern cities with their wooden benches, cling-clanging bells and shiny brass poles. They make us turn our heads to tell the little ones “Look! There goes the trolley!” They bring back the kid in us. 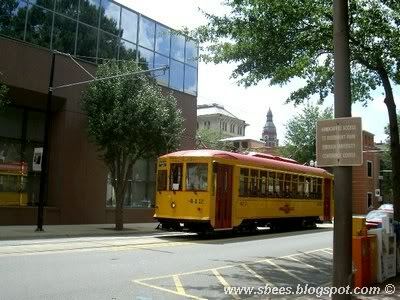 If you were to ask me what my favorite attraction was in the Little Rock and North Little Rock area, I would have to say that the trolley is at the very top of my list. 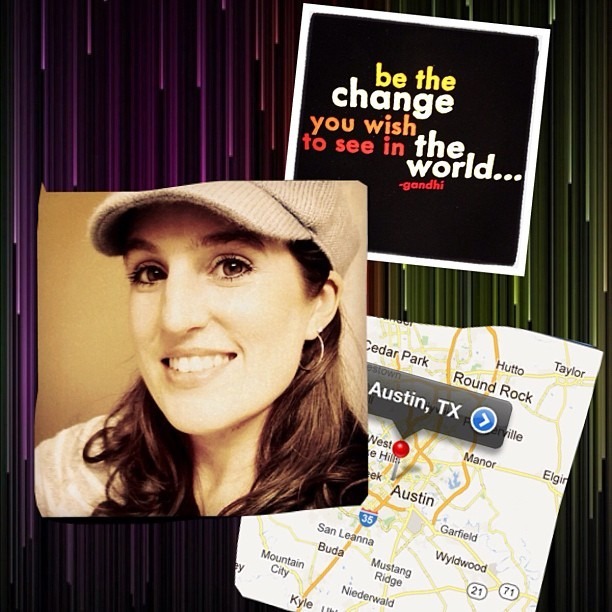 Being a city girl, I usually enjoy taking field trips that include history, architecture, rides, people, variety, food, and lots of eye-candy (I love to take pictures and look at interesting places and people). This field trip has a little of everything… and the big bonus is that it only costs 50 cents per person! You can ride the trolley (which makes a loop around downtown Little Rock’s River Market District, or makes a loop from North Little Rock through downtown Little Rock and back) across the Arkansas River and park your car on either side… complete the loop in 30-45 minutes, and be back… or you could buy a day pass for 2$ per person and get on and off the trolley all over downtown and enjoy a full day of fun! The trolley runs all year long and during the fall and Christmas seasons, they decorate the trolleys in leaves or pine branches with lights. The interiors are real wood and the benches rotate back and forward so you can sit facing either direction. The trolley driver might even allow the kids to come up and hit the button (like Kaden is doing in the photo below) for the horn if you catch them in a good mood. The drivers usually tell about the town’s history as you travel slowly along, enjoying the view. 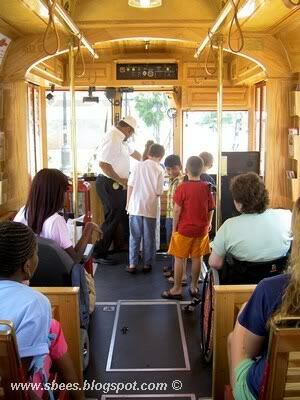 Every time we have ridden the trolley we have thoroughly enjoyed the trip. Of course, it is always best to take your buddies and share the adventure. There are museums, shops and restaurants all along the route. 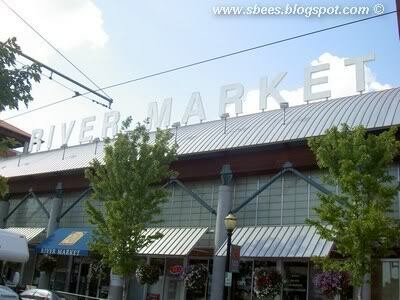 One of our favorite things to do was to take the trolley in to the River Market and go eat falafels, Mexican Food or sandwiches. I wish I could share all the photos from the trip, but my blog would shut down your computer or not display properly from all the graphics. I had to pick a few favorites out. 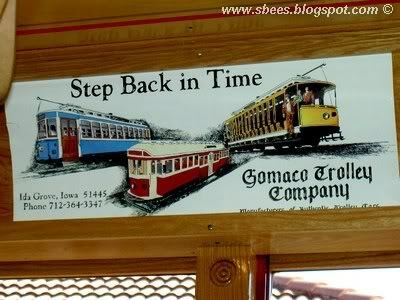 Be sure to stop at the links below for other photos from previous posts that include the trolley! I’m so glad we got to enjoy it while we lived in Arkansas. Thanks. 🙂 I miss it. 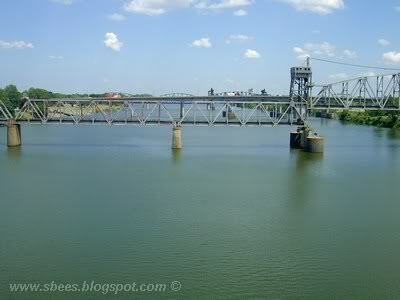 I love being home in Texas, but there are lots of things about Arkansas that I really miss. We were there for two years and just got home this past June. My kids loved the trolley, too. I would have, if it weren’t for the whole motion sickness thing. I think I would’ve been okay if it hadn’t been so stinkin’ hot that day! 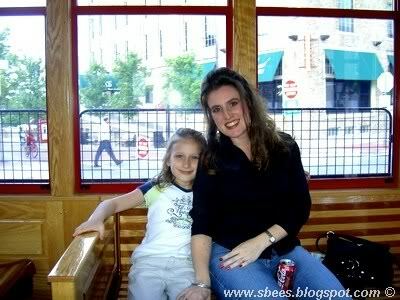 Yeah, Bev… I especially love the one of our girls together on the trolley. I felt so bad for you that day! But I was soooo glad to finally meet you in person!!! We’ll have to do another visit sometime in the future.